At GarageSaleShowcase.com, Your Online Garage Sale Is Open For Business 24/7/365! How is Garage Sale Showcase different from eBay and Craigslist? Is GarageSaleShowcase.com completely mobile friendly? How do I post a free listing? How many items can I post? How long can my items remain posted? Can I buy and sell anything I want to on to GarageSaleShowcase.com? Does GarageSaleShowcase.com get a percentage of my sales? Do I have to provide my personal contact information when signing up for a Garage Sale Showcase Member account? Will other users of Garage Sale Showcase ever see my real name and email address? Will I be able to see the email addresses of people that submit inquiries about my items? Will items I post for sale on GarageSaleShowcase.com be visible to Google and other Search Engines? How will people be able to send me inquiries about my item postings? Can I block the senders of abusive, annoying or bogus inquiries from contacting me? How long will inquiries and replies remain in my seller account mailbox? How do I avoid scams and how can I be sure I won't be ripped off? eBay is structured as an online auction, and sellers are charged both an initial listing fee and a final value fee (which is a percentage of the total amount when and if the item finally sells). Additionally, buyers must be registered users of eBay. Listing and selling items on Garage Sale Showcase is free, and visitors don't have to register in order to submit an inquiry about an item. Craigslist is analogous to the classified section of your local newspaper, and is free. However, on Craigslist, items are organized by item type, and listings expire after a short period of time. Garage Sale Showcase is organized by seller (although users can still browse and search items by item type), with each seller having his or her own page. A Garage Sale Showcase Member seller may continue to display particular items on his or her member page as long as he or she wishes. YEP! Whether you're a buyer or a Garage Sale Showcase Member Seller, if you prefer using a smartphone or tablet over a laptop or desktop, you can do everything on Garage Sale Showcase using your mobile device. You can even take pictures of your items using your mobile device and upload them directly to your item listings!
. Then, sign into your GarageSaleShowcase.com Member Account, and simply click the button that says “Add A New Item”, and proceed to fill in and submit the item information. You can also add up to 4 pictures per item, as well as include a link to an external website page about the item such as an Ebay listing, a Craigslist listing, an Amazon.com page, or a Facebook Marketplace page. You can even include a YouTube video with your item listings! Each new member of Garage Sale Showcase is given what we call “shelf space” for up to 12 items. You can earn more shelf space by inviting friends to become GarageSaleShowcase.com members too, which you'll be able to do through your member account. For each friend you refer that becomes a GarageSaleShowcase.com member, you'll get an additional shelf space (up to a limit of 100)! As long as you wish. Items posted for sale on GarageSaleShowcase.com have no automatic expiration date. We do however, ask that you remove items that have been sold or are no longer for sale. No. There are restrictions on the type of things that you can list and sell on Garage Sale Showcase. Adult products are not allowed. You also may not attempt to sell alcohol in any form. Items of questionable legality are prohibited as well. Please refer to our terms & conditions. for more information on content restrictions. If you find an item listed that you believe to be in violation of our terms & conditions., simply click on the “report this posting” link that accompanies each item listing, and we'll review your objection and take action accordingly. No. GarageSaleShowcase.com is simply a communication venue that connects potential buyers with potential sellers. Garage Sale Showcase has no direct stake in the outcome of your transaction, or any direct role in facilitating it. Please see the terms & conditions. for more information. No. Your personal contact information (name, address, and phone number) is completely optional (you can leave those fields blank if you wish), will be kept confidential, and will not be visible to other users of Garage Sale Showcase. We do need to know your email address so that we can notify you of inquiries to your item and calendar listings. We also need to know your geographic location so that your seller account may be listed under the proper U.S. State, County and/or City. No. GarageSaleShowcase.com membership is anonymous and confidential. When you create your GarageSaleShowcase.com member account, you will be asked to choose a unique user name. This user name is the only way that users of Garage Sale Showcase will be able to identify you. Your real name, email address and all of your other personal contact information will remain hidden from other users of GarageSaleShowcase.com. Of course, closing the sale of an item you list on Garage Sale Showcase may require you to disclose your identity in part, depending upon how, when and where you choose to complete the transaction. That's all entirely up to you, though. No. Garage Sale Showcase membership is anonymous and confidential for buyers as well as sellers, regardless of whether or not the buyer is a GarageSaleShowcase.com member. 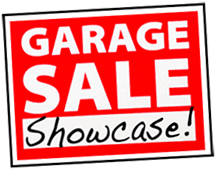 Communications between potential buyers and sellers are facilitated directly through the easy-to-use GarageSaleShowcase.com system. Of course, if buyers and sellers wish to exchange email addresses during the process of negotiating a deal, that's entirely up to them. Yes. All member seller pages, individual item postings and calendar event listings on Garage Sale Showcase are visible on the surface web, and are publicly accessible. Consequently, anyone may browse or link to anything posted on this website. Each item posting on Garage Sale Showcase is accompanied by a brief inquiry form. 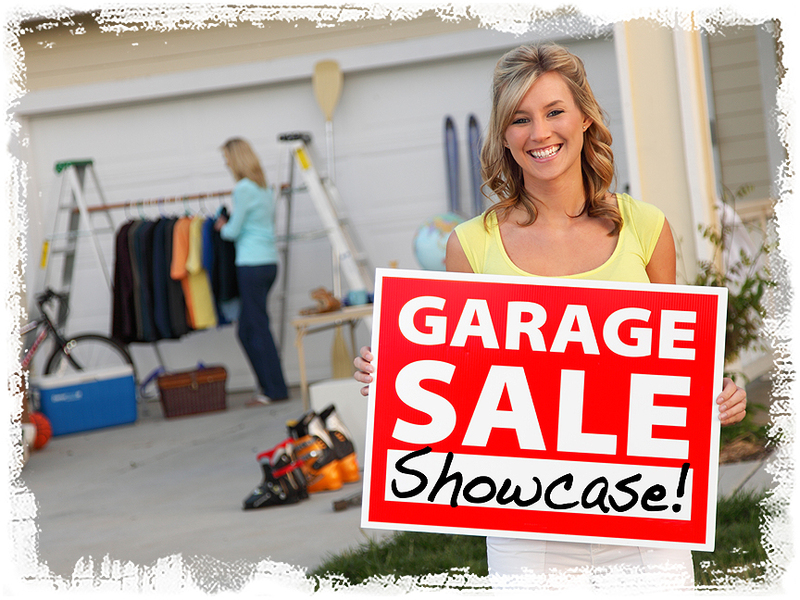 If the person interested in your item is NOT a GarageSaleShowcase.com member, the inquiry form requires his or her name and email address, along with his or her brief inquiry message. Once this form is submitted, a verification message is emailed to the person that submitted the inquiry, requesting that he or she click a verification link in the email message. When the verification link is clicked, the inquiry message is automatically forwarded to you. It will also be listed in your GarageSaleShowcase.com member account mailbox, where you may then respond safely, confidentially and anonymously at your convenience. If the person interested in your item IS a logged-in GarageSaleShowcase.com member, he or she does not need to to provide his or her name and email address, and the submission is automatically verified and forwarded to you. Yes. If you wish to prevent a person that has submitted a fraudulent, abusive or annoying inquiry from initiating any further contact with you, simply click the “Block This Person” option when you delete the message from your mailbox. This will delete all other messages from this person, and prevent them from sending you any future messages. All messages (both inquiries and your replies to them) will be automatically deleted from your GarageSaleShowcase.com member account mailbox after 60 days. You are, of course, free to delete messages yourself at any time in order to better organize your mailbox. PayPal is the industry standard way to get paid online, and offers a reasonable degree of both Seller Protection and Buyer Protection. However, please keep in mind that PayPal's Seller Protection DOES NOT cover in-person, point-of-sale transactions and only applies to physical, tangible items that are shipped to the EXACT address on the PayPal transaction detail page (and proof of shipment is required). Please review PayPal's Seller Protection and PayPal's Buyer Protection for more information about using PayPal for remote, non-point-of-sale transactions. Please remember as well, that YOU are solely responsibility for the consequences of your interactions, transactions and agreements with any and all other users of Garage Sale Showcase, which is simply a free-to-use medium of communication between potential buyers and sellers, and as such has absolutely no role in or responsibility for your satisfaction with any purchase, sale or other transaction initiated here. Please review our terms & conditions. for more information.